Selective Mutism is a childhood anxiety disorder that results in a child's inability to speak in particular social settings. For many children this means that they develop speech and language abilities as normal for their age and are able to use them both in settings in which they are comfortable, particularly at home. However, these children then become unable to speak when in other settings such as at school, on a play date or during a birthday party. This can be confusing and frustrating for both the child and the adults who witness this behaviour, and many times families don't recognise Selective Mutism for what it is and instead believe that a child is just extremely shy. Selective Mutism is unintentional, that is the children who suffer from it are not simply choosing to remain silent but are actually unable to speak at certain times and in certain places. No one knows what causes Selective Mutism but most experts believe that a it is a combination of factors that result in this condition. The nature v. nurture debate is related to Selective Mutism as it remains unknown if children are born predisposed to this condition or if something in their environment causes it. There are two main signs or symptoms of Selective Mutism. The first is the ability to use age-appropriate verbal language and the second is the inability to use this verbal language social settings. This often means that when the individual arrives at a social setting (s)he becomes unable to speak, though his or her other language abilities, including listening, reading and/or writing, may not be similarly affected. Selective Mutism is diagnosed by a trained therapist, usually one who specialises in or has experience with Selective Mutism. The therapist will likely begin his or her inquiry by interviewing the child's parents about his or her developmental history, medical history, family history, and home life. The therapist will then likely observe the child, sometimes at home as well as in a public setting, and will then interact directly with the child. During the diagnostic sessions the child will usually also engage in a full speech and language assessment, psychological assessment and developmental assessment, as well as physical examination so that nothing is missed along the road to a firm diagnosis. Over 90% of the children diagnosed with Selective Mutism are also diagnosed with a social phobia or anxiety, so the holistic approach to a child's health is particularly important with this condition. 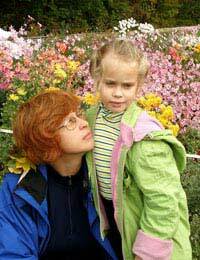 Selective Mutism is most basically an anxiety disorder and is almost always treated as such. This means that therapy sessions will focus on lowering the child's anxiety, bolstering his or her self esteem and increasing his or her confidence in communicating. It also means that therapy sessions will not generally focus on the amount of talking done by a child. Outside of therapy, parents, teachers, friends and relatives can help children relax by refusing to pressure them about their speech and by allowing them to begin to explore and communicate in whatever ways they feel comfortable. Selective Mutism is a childhood anxiety disorder that is not necessarily well known to individuals who have never witnessed it before. All medical and mental health professionals should be able to offer further information about Selective Mutism.